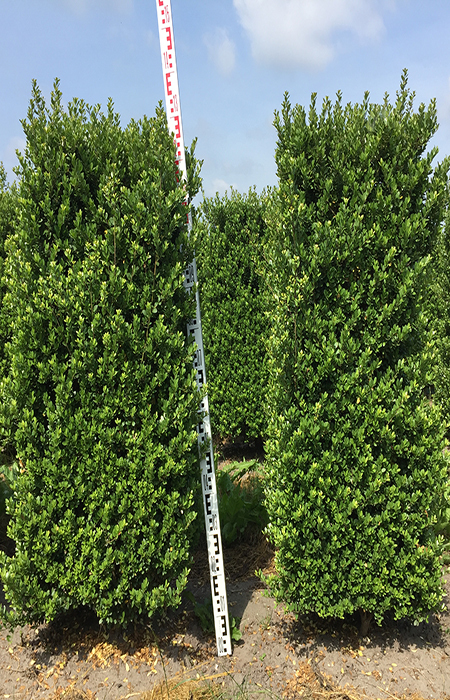 Ilex crenata is a great formal alternative to Buxus, providing a very similar look to Box hedging. It is slow-growing, with glossy, wavy-toothed leaves that are 3cm long and nearly 2cm wide. Small white flowers grow in summer and are followed by black fruits. 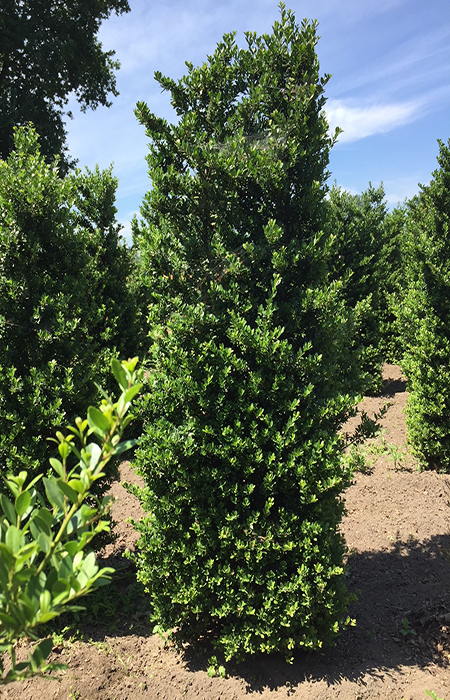 Ilex crenata is resistant to Box blight and leaf scorch when pruned. 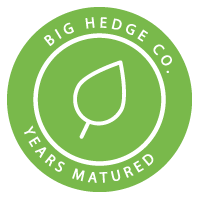 Ilex crenata hedging is a tough alternative to Buxus making it suitable for northern or cold areas. The castle gardens surrounding Het Loo Palace in Apeldoorn, Netherlands have no fewer than 26 kilometres of Ilex crenata hedges! Ilex crenata retains its fresh green leaves all year round. If it is looked after, Ilex crenata grows faster than the standard buxus. 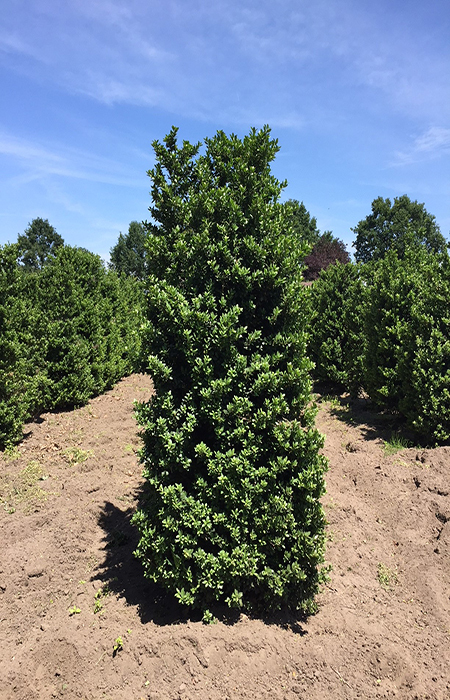 The best location for Ilex crenata is a spot that receives both sunlight and shade. Ilex should be pruned at least twice a year. 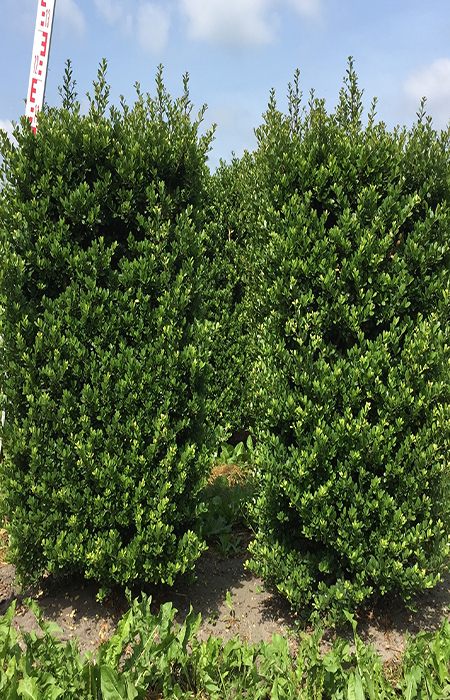 Ilex is extremely hardy and can be grown in both full sun and partial shade so is extremely popular as a hedge.